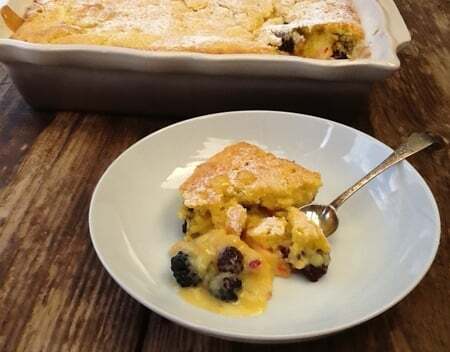 Self Saucing Blackberry & Apple Pudding – A light sponge blanketing a layer of blackberries & apples in its own pool of custard. 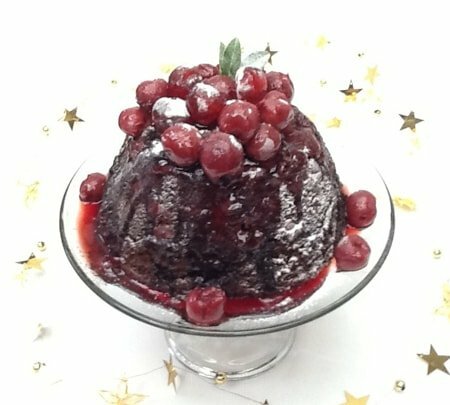 The perfect one pot Pud! I can’t believe Autumn is just around the corner and I feel a tinge of sadness to think it’s the end of our summer season here at the Kitchen Shed. It does take me a while to adjust to the thought of Autumn but I do embrace it – apples need to be harvested, blackberries and sloes are to be foraged and I am so looking forward to my pumpkin harvest. I’ll be busy stocking the Kitchen Shed pantry with jams, chutneys, sauces and ‘canning’ tomatoes and beans into Le Parfait jars. There’s an abundance of blackberries at the moment, turning ripe just as my apples are ready to be picked, perfect partners. OH is happier as he loves blackberries and apples together and I’d promised him an alternative version of my Self Saucing Rhubarb and Custard Pudding – he’s a sucker for comfort food but then, aren’t we all ? I suppose as well, it’s a sort of ‘peace offering version two’ in the courgette wars – hopefully the Courgette Brownies and this blackberry and apple dessert will offset the massed ranks of the courgettes still to come. If you haven’t made a self saucing pudding before, don’t worry if this recipe goes against how you might usually bake. Sprinkling sugar and custard powder over a batter and pouring hot milk on the top looks and sounds rather strange but be patient, it works. I’ve included a few Kitchen Shed Tips to help you on your way. Kitchen Shed Tip: Make sure your dish is well greased with softened butter to prevent the pudding from catching or burning. Arrange the sliced apples and blackberries evenly over the base of your pudding dish and sprinkle with sugar. Bring your milk and butter for the sauce to boiling point before you start the batter mix. Add the milk, vanilla extract and beaten eggs into the cooled melted butter and whisk to combine. Pour onto the dry ingredients and briefly whisk until smooth. Pour the batter evenly over the blackberries and apples. 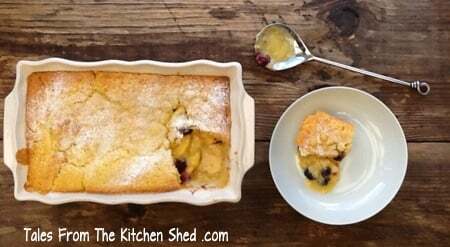 Kitchen Shed Tip: The key to a perfect pudding is to handle with care and don’t over mix. 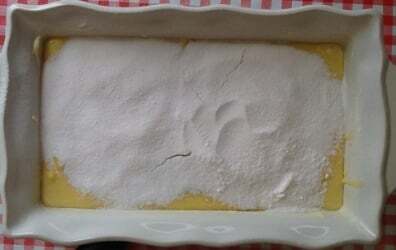 Sift the custard powder and caster sugar together before sprinkling over the batter. 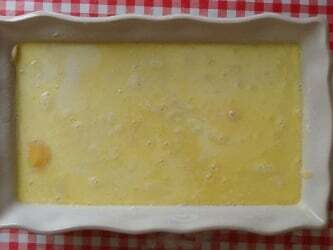 Use the back of a tablespoon and slowly pour the hot milk and butter over your pudding. Kitchen Shed Tip: Pouring the hot liquid over the back of a spoon as close to the pudding as you can will prevent the liquid from falling too heavily and help keep a light sponge. Bake in the oven for approximately 40 minutes until the batter is set. Kitchen Shed Tip: Let your pudding stand and set for at least 5 minutes before serving as this allows the sauce to thicken up. 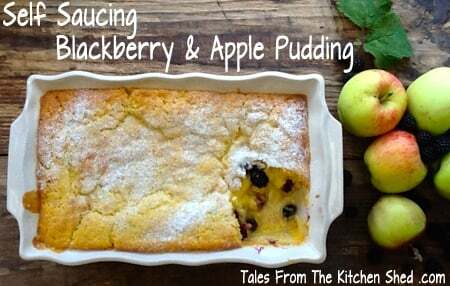 For more blackberry recipes, take a look at Rosie’s delicious collection over at Eco Gites of Lenault Blogspot. Farmersgirl Kitchen & Lavender & Lovage’s The Great British Blackberry Recipe Round Up hosted by Janice over at Farmersgirl Kitchen. I am planning to make this for a Peter Rabbit Baby shower in March. I am making a lot of dishes and where I can I am trying to make some a day or two ahead. Do you think this would be OK made 1-2 days ahead? Would you refrigerate? Hi Linda, the self saucing pudding is best served straight from the oven. We have had leftovers a couple of days later but it is best served on the day. 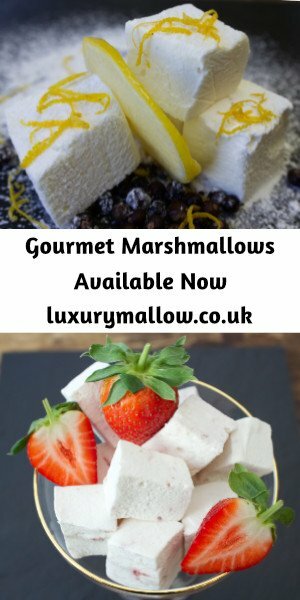 I’m so sorry this reply is probably too late for you but i’ve been so busy with our marshmallow business I haven’t had time to respond to blog comments. Do let me know how you got on. Oh I’ve never done self-saucing with blackberries, this one I must try! Thank you for joining us for the Great British Blackberry Recipe Round Up. It’s definitely worth making Janice, perfect for this time of year. A pleasure to link up with the Great British Blackberry round up. Oh this looks fabulous! I’m so glad I found your blog, but i can’t figure out how to follow you! Thanks Mimi, a follow feature on my blog is on the to do list but you could follow me on Twitter or Facebook for the latest recipes and posts from my blog. Glad you found my blog and thanks for popping by. Blackberry and apple sound like such a good combination together! I have yet to try making a self-saucing pudding, but it sounds quite appealingly convenient. I love apple and blackberry today, such a great combination! This pudding looks amazing! I’ve been picking lots of blackberries in the field where I walk the dogs, I’ve mostly been using them for smoothies as I’ve not really had much inspiration for baking with them! But I absolutely have to try this! This sounds amazing! I’ll have to give it a try someday soon, before our non-existant Summer has turned into a miserable Winter … Loved your bread last week, congratulations on being featured! This looks great, I do like self-saucing dishes though this seems to be done in a slightly different way from what I have done before. But would like to try it! 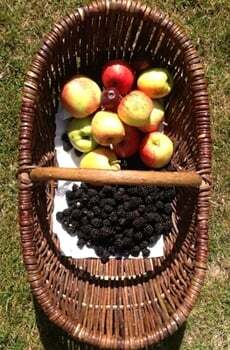 Thanks Helen, let me know how you get on if you do make a blackberry & apple pud. Perfect for this time of year! I haven’t tried a self-saucing pudding yet but it’s something on my list. I love all the tips you give. Thanks Corina, glad you find the Kitchen Shed Tips useful & hope you get to try my self saucing pudding. Popping over from Fabulous Foodie Fridays because this looked too good to resist! Even though we’re starting our sojourn in spring down under, I really want to give this a go. So much delicious! 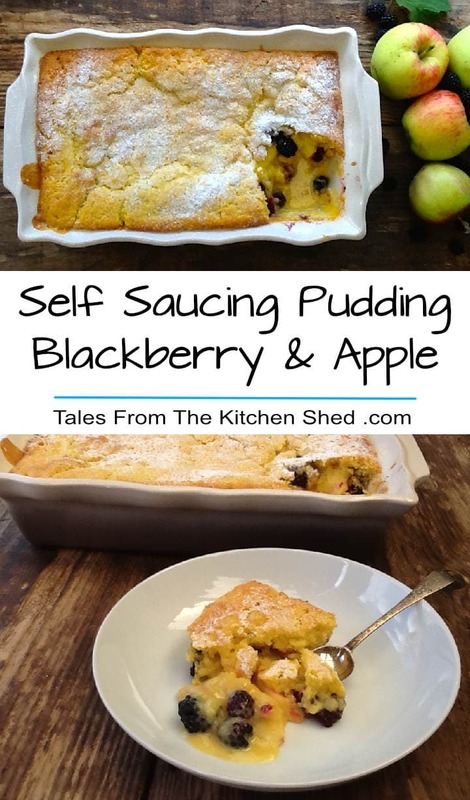 Thanks for popping by from Fabulous Foodie Fridays & I hope you get chance to make Blackberry & Apple Self Saucing Pudding despite the season warming up. I might actually try this instead of the crumble and pies that we usually make. It looks delicious and I think it will go down a treat. 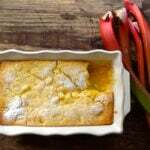 Thanks Martin, a self saucing pudding does make a delicious change to a crumble or pie. Crumbles are still a favourite at the Kitchen Shed too though 🙂 Let me know how you get on & it’s always a pleasure to share. Thanks for stopping by & do let me know if you do end up baking it. That looks so delicious , I can’t wait to try it!! I am on the train going to work hungry now : ). Congratulations it looks delicious. Thanks, let me know how you get on. Thanks Alison, let me know how you get on. Mmm yum! 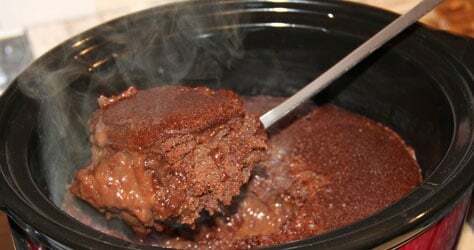 This look delicious, I’ve never made a self saucing pudding before but this sounds perfect. Our hedgerow blackberries here in Yorkshire aren’t ripe yet, so this dessert shall have to wait a couple of weeks for us. 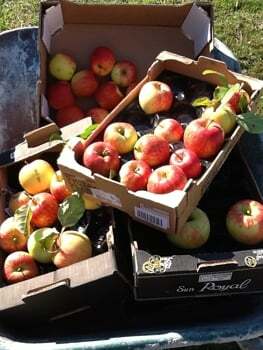 Did you use an eating apple rather than a bramley? How delicious!!! I actually have some frozen blackberries in the freezer. Definitely going to make this with my roast tonight!